We love these brand new artworks by Hannah George. 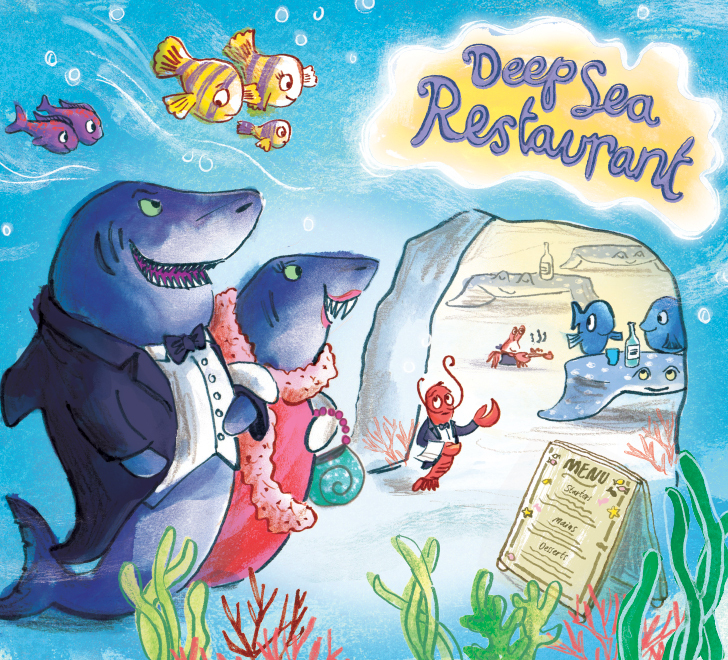 The ‘Deep Sea Restaurant’ is the place to be, complete with a lobster maître d' and an Octopus chef. These fabulous scenes, filled with vibrant underwater hues are great additions to Hannah’s picture book portfolio. To see more of Hannah’s work, click here. Hannah George is represented by Kids Corner. Published on 14 December 2016.